Even with a significant dip in auto accidents, the United States highways and roads still lead to thousands of deaths and injuries annually. It’s noted that over 32,000 persons lose their life in auto accidents annually with two million injured in the same across the country. Some of the reasons for the accidents are due to negligence and refusing to adhere to safer measures for motorists. 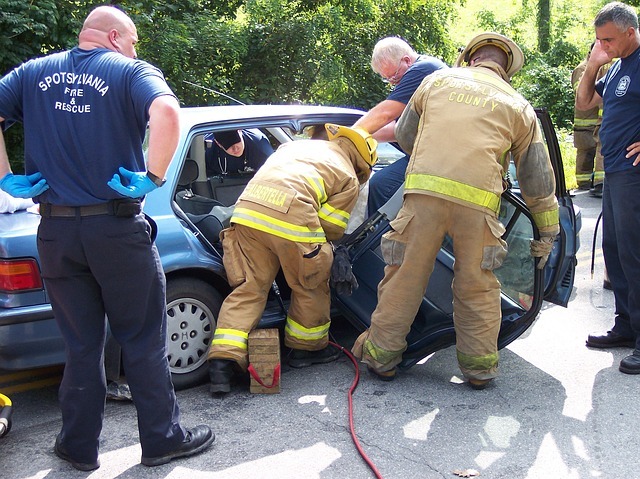 In 2013 alone, the road accident death rate in the US was two times that of most nations around the world. One death in three auto road deaths were due to driving under the influence of alcohol with another one death in three related to over speeding. While other western and wealthier nations of the same level or just about that of the United States have lower road accident rates, United States road carnage rates keep going up. To remain on the safe side, you can protect yourself from early death and lethal injuries by driving better. What’s your attitude about safe driving? While it’s important to take care of your life, the attitude about driving that you exude is very important. For instance, most teen-related auto accidents aren’t really related to knowledge or driving skills but maturity and attitude. Even adults sometimes have the wrong attitude while behind the wheel by taking chances, over speeding, driving recklessly and driving even when completely drunk or stoned. To keep yourself safe and avoid auto crash deaths, make a personal commitment to change your attitude about driving. Drive responsibly at all times whether cruising across the neighborhood or hundreds of miles away on the highway. Every driver is controlling a minimum of 3,000 pounds of high-speed moving piece of metal and any little mishap puts your life, that of your passengers and other motorists on the line. If you’ve a teenager learning how to drive, ensure he/she receives sufficient supervision and monitoring while driving. Take a conscious decision to get involved in their practice driving by creating a schedule to be followed without dithering. Ensure they’ve followed the scheduled and all proper driving measures right up to the time they get their license. Licensing laws have been graduated in many states. Check with your state. Make a conscious decision with yourself to be responsible and safe while on the road and never compromise on it. Most importantly, a teen driver should be intimated upon to always wear their safety belt before turning on the ignition at all times. Every driver, teen or adult should always wear a safety belt and ensure all passengers in his or her car have worn theirs. Most people, particularly teens get carried away by peer pressure they hardly take in the gravity of driving under the influence of either drugs or alcohol. People forget after smoking marijuana or taking alcoholic drinks or two their brains are impaired right away. It’s illegal to drive while drunk or under the influence of illegal drugs and marijuana. It could result in your driving license being withdrawn. Sometimes, even the quality of the car can lead to lethal road crash deaths and injuries. Whether purchasing a new vehicle for the first time or a teen shopping for their first ever vehicle, checking the safety ratings is very important. Stick to a vehicle with the highest safety ratings. Sport utility vehicles, trucks and small cars aren’t the best for teens, for instance. Use your state or federal consumer reports and statistics to choose the best safety vehicle, including trucks and cars if that’s what you want. The final step to hiring the right attorney for your case requires you to get personal. Legal cases can at times take months or even years to be resolved so it is important that you and your attorney can work together well over the long term. Having www.napolilaw.com on your side can have a devastating effect on the final ruling of your case! Hiring the right attorney to represent you in court and to fight for your rights is a big step for anyone to take and it is east to see how it can be scary and confusing for many people. With these four tips in mind however, you are better prepared to begin your search and find the attorney who can work for you in court.